I’ve published two things about games so far this year. 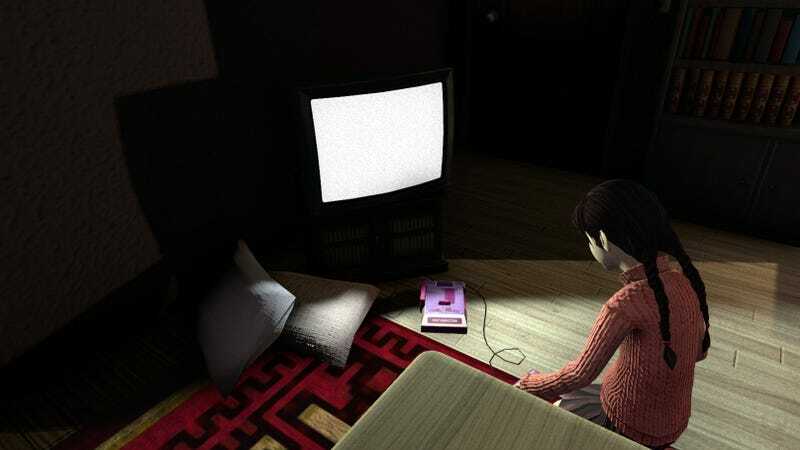 The first was a retrospective of Yume Nikki, the mysterious 2004 game that was suddenly, mysteriously getting an update or sequel of some kind. The second article looked at Bluepoint’s excellent Shadow Of The Colossus remake and posited that perhaps the best way to preserve games might be to rebuild them from the ground up, keeping the spirit intact but being willing to rejigger things where necessary in order to make the game palatable to modern audiences. Welp. That new Yume Nikki game ended up being a modernized remake, rejiggered to be palatable to modern audiences, and it ended up being very bad. I’ve spent some time with it, and I am here to say: It is not “fun,” per se, but then, neither was its predecessor. It was always more interesting to talk about and read about and watch than to actually play, but even in the realm of commentary there’s more of a deflated sigh than anything else. On Reddit, fans are mostly just happy Dream Diary proves Kikiyama, the original designer, is still alive and hadn’t died in an earthquake (as was rumored) or by suicide (as the protagonist of Yume Nikki did). Where Shadow Of The Colossus was met with a few aggrieved qualms but, mostly, acclaim, Yume Nikki’s most devoted players—the forum-dwellers and YouTubers who charted every arcane interaction, rooted out every back-corner mystery, and postulated constantly about the game’s enigmatic meaning—seem largely dejected. The remake awkwardly reconfigures the original’s top-down RPG style as a side-scroller drawn in grainy 3-D, gating progress with some bottom-tier survival-horror mechanics. Still, it’ll be interesting to keep poking around in the game, and to see what people find. They’re already uncovering baffling hidden endings, and I’ll admit that its original-Xbox graphical fidelity has a sort of haunted appeal to me. Its music and sound design, crucially, seems to stand right up to the original, echoing it in some places and reconfiguring it in others. But there’s a carelessness with the original text that’s not promising. One of its most famous hidden moments—by some measures, one of the scariest moments in video-game history—has been rendered into an entirely flat jump-scare cut-scene. And its ending has been altered in a manner that neuters the light-swallowing bleakness of the original. These differences are interesting to see rendered in semi-loving 3-D, but, mostly, Yume Nikki: Dream Diary only points back to its original. If it gets more people to play it, then, I guess we could call it a success. HAL Laboratory, the Nintendo-adjacent studio best known for making the Kirby games, released a charming mobile game last year in Japan called Part Time UFO. This week it finally came Stateside, and I’ve been pouring every spare minute into it. You play as the UFO in the title, which is both a cute-as-hell flying saucer and a reference to the claw of a crane game, commonly called a UFO catcher in Japan. You careen toward Earth and, as a hovering little dude only capable of picking things up and putting them down, start performing manual labor for humans in need: collecting fish for an impatient angler, rebuilding a museum’s totem pole, assembling a cheer-squad pyramid, that sort of thing. Each job comes with three sub-objectives that’ll net you some extra cash if you finish on time, and you can spend that dough on outfits that make your cartoon UFO even cuter. There’s not much more to it than that, but there shouldn’t be. It’s a fantastically clever twist on the concept of claw machines, forcing you to fight against gravity, balance, and momentum for every ounce of success. And like in BOXBOY!, another HAL Laboratory oddity, the designers do a great job of evolving the game from stage to stage, fully exploring the space for puzzles that involve little more than creatively lifting and dropping things. Plus, it helps that there’s tons of character flowing out of the game’s delightful visuals and that it features one of the catchiest menu themes in years. Seriously, give this a listen.